I don’t hold with the view that the internet is the work of the devil and the worst thing that was ever invented. I love it. Mrs C loves it and the kids love it. But we’re now 25 days into our enforced internet fast. Me: Hello, I received an email yesterday saying all was well for the 1st August to transfer my broadband and telephone. I just wanted to check that you’ve got the right details. 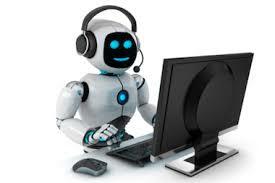 Call Centre Hope Destroying Automaton (CCHDA): Oh, sorry sir we cancelled it two days ago. CCHDA: Oh, we tried to ring your home phone to confirm the new address as there’s a problem with it but we got no answer. Me: But I called you and said I was moving on the 24th; I don’t live in that house any more and that’s where the phone is that you rang! CCHDA: (slightly condescending) but sir, we did try to ring three times. Me: (thinks ‘did they just say that?, have I lost my mind?) But I don’t live there any more how could I answer it? CCHDA: Yes sir, we did ring you three times. Yes: We cancelled the installation two days ago. Me: (A broken man) So, when can you do it? CCHDA: Oh, we’ll have to rebook it. Probably about the 14th August. Me: (sighs) Ok, ok, can I confirm my address it is ………………………..
CCHDA: Sorry sir we don’t have that address on the computer system. Me: (Indignant) Just forget it, I’ll find someone else, consider this my notification of leaving you. CCHDA: Ok sir (pleasant voice), is there anything else I can help you with? So, that's that, there's mutiny in the ranks, we've been given a new date from a very helpful new supplier but we've lost all hope that we'll be connected back to the world. The staff at McDonalds have started to recognise me as I come for free wi fi.